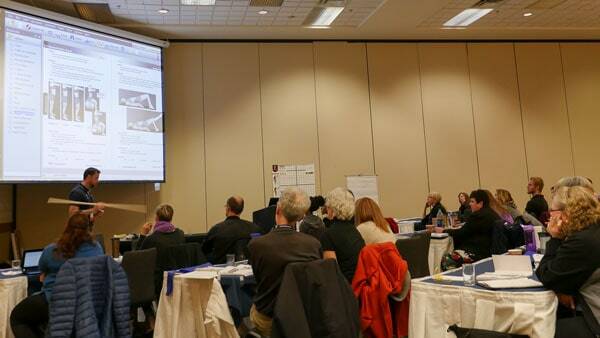 Learn how to improve curriculum delivery, retention and get better student learning outcomes. We focus on teaching musculoskeletal anatomy, physiology, and kinesiology with the emphasis on critical thinking, understanding instead of memorization. Save money and time. Learn from decades of teaching and clinical experience, how to improve content delivery and have happier more productive classes. (Dr. Vizniak’s Top 10 instructor tips here) If you are an instructor, practitioner, curriculum director at a massage school, CE center, or other manual or movement therapy school – our rapid instructional design, content and application will save you time, money and help your classes get better reviews and inspire more student to attend! 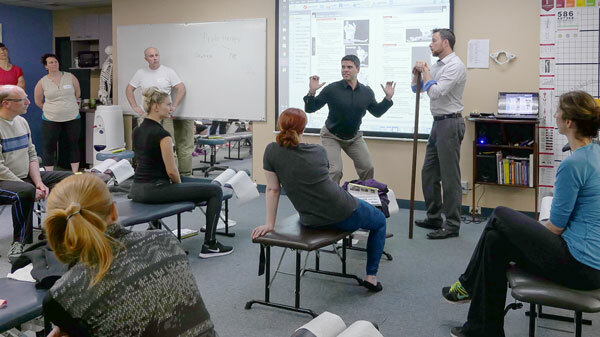 This fun, interactive seminar focuses on how instructors can learn to teach musculoskeletal anatomy, physiology, and kinesiology with the emphasis on critical thinking, understanding instead of memorization (focus on ‘big-picture’ clinically relevant topics). We also showcase online and in print top notch resources including a 5,000+ question database, 4,000+ image data base, practical exam assessment forms, clinic forms, posture charts, clinical tools and so much more. You will leave this seminar empowered, excited and ready to be better at what you do. Text Reference: Quick Reference Evidence Based series – Muscle Manual (2016) by Nikita Vizniak. Throughout my entire undergrad I have survived by basic memorization and regurgitation. This didn’t translate to retention or application of information. Dr. Vizniak is the only professor that I have encountered that was so invested in constantly remodeling and updating his teachings to ensure his students were getting the best possible learning experience. His investment in his students is unparalleled. His styling of teaching was unlike any I had ever seen before and I wish he could teach others to teach the way that he does. He makes learning easy, fun and engaging, but above all he inspired me to want to change the way I study outside of class. This was honestly the first time I didn’t just have just have the material memorized, but I understood it and can apply it to real life. This is what I have striven for for a long time. It was an honor to learn from you. Thank you. Upgrade your practice and improve patient outcomes. Seminars fill up quickly so register today.